Heritage's range of heated towel rails complement all types of bathrooms beautifully and range from the classically elegant to modern urban chic. 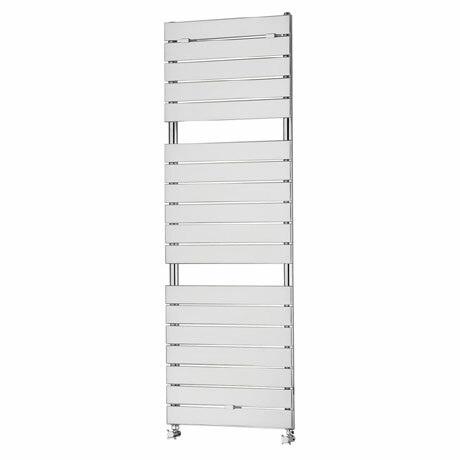 The Aster Large Heated Towel Rail is a stylish addition to any contemporary bathroom, measuring 1500 x 510mm the rail is made from a high grade steel and finished in a chrome effect. Heritage offer a 5 year guarantee covering any manufacturing faults. Please note: Valves sold separately.